Since 1928, James River Bus Lines has been a recognized leader in transportation solutions. Serving a diverse client base worldwide, the firm’s rich history sprang from modest beginnings in rural Virginia where its one and only bus would bring passengers to Richmond for daily shopping. Today, the firm is headquartered in Richmond, Virginia, and features a fleet of more than 80 vehicles including buses, motor-coaches, min-coaches, limousines, executive sedans, vans and SUVs. 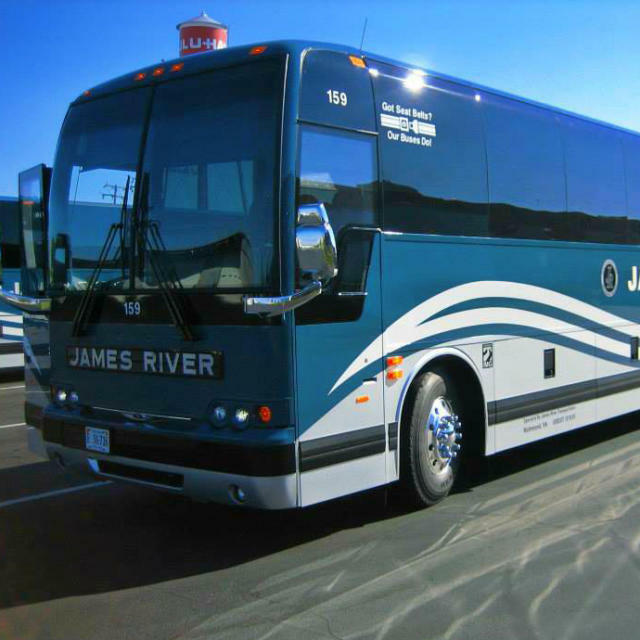 Now called James River Transportation, the company provides a broad array of transportation solutions to an ever expanding market.